As we approach the last Sunday in Epiphany and look toward the beginning of Lent, I want to to draw your attention the many wonderful musical offerings during the season of Lent. On the first Sunday in Lent, the choir will sing a beautiful setting of Psalm 42 by Herbert Howells: Like as the Hart Desireth the Waterbrooks. 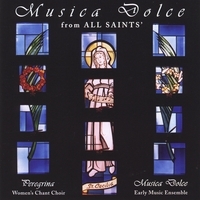 Howells’ unique musical and harmonic language creates an ethereal and powerfully emotive expression of the words of the psalm. 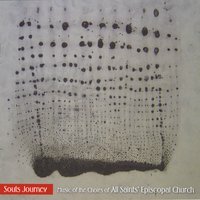 Another wonderful psalm setting to be heard during Lent is Thomas Morley’s “Out of the Deep.” The beginning of Psalm 130, De profundis, “out of the deep have I called to thee O Lord,” is set by Morley for solo contralto voice or countertenor, beginning on a very low note and rising up to the word Lord. It is quite a powerful way to paint an image of prayer and longing, leading to the final exhortation “Lord, hear my voice.” This setting will be sung by the chamber choir during Evensong for Lent on Sunday, March 11th at 7:00 p.m. The full choirs of All Saints’ will present John Stainer’s substantial work entitled “The Crucifixion” on Good Friday at 12:30 as a choral devotional for Holy Week. Stainer’s composition is a musical setting of the Passion Gospel set in many sections for soloists, full choir, and accompanied by organ. It is out of this substantial work that Stainer has set the well-known bible passage John 3:16 to music. This setting has been loved and celebrated by choirs all over the world. Musical settings of John 3:16 will be heard on two Sundays during Lent by two different composers. The presentation, on Good Friday, of John Stainer’s setting will be contrasted by a very different one by Bob Chilcott on the first Sunday of Lent. Chilcott takes a much different approach to the text, setting it in a minor key and floating a beautiful high soprano solo over repeated blocks of sometimes dissonant harmonies. Rehearsals for All Saints’ new youth choral program will be underway in just a few weeks. As of today, 33 children and youth are signed up to sing. There are many benefits to singing in a choral program such as this that go beyond the scope of musical training. First, these young singers will form bonds of friendship that can last a lifetime. I’ve seen this happen so many times in the past. No matter what is happening in life, school, or in the world today, these young singers know that as soon as they step into the choir room they are in a familiar and safe place. 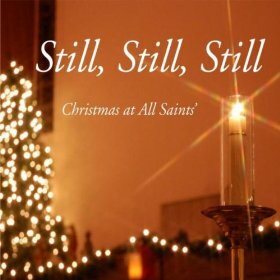 They are with their All Saints’ choir family where everyone is loved, supported, and encouraged through music. Second, there is the discipline that comes from studying music. Whether they realize it or not, it takes an exceptionally mature discipline for young choristers to learn difficult music and then go into the church and be professional in leading the congregation in worship. I often tell choristers that what they do on Sunday morning or at any service is to pray for the congregation. Musical prayers are offered up to God through the voices of the choir. This is a big responsibility, and one that is taken very seriously by choristers. I am excited to begin preparing these young people to become future leaders in the Episcopal church. In conjunction with the launch of the new chorister program, foundation work and planning is well underway for the new All Saints’ Music School. While enrollment is not open at this time, information about registration will be available very soon. All Saints’ Music School will be offering enrollment in the new Chorister Program and one-to-one lessons on trumpet, piano, violin, saxophone, clarinet, voice, organ, and low brass. Watch for more information soon!